« Download Zone Alarm Pro Firewall Free! Time Critical! 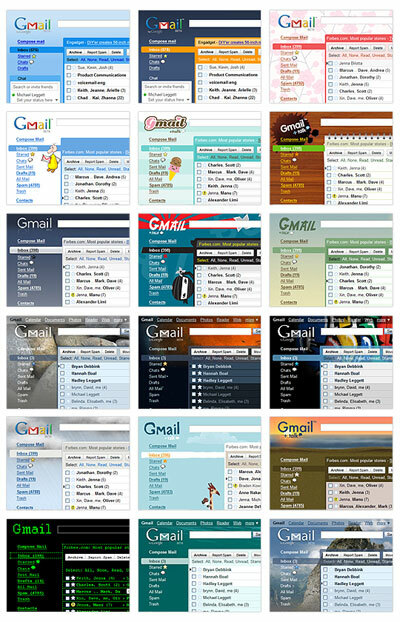 New Themes To Select In GMail! I can’t believe this is the 3rd post I write about GMail in 7 days. Last Thursday, they rolled out voice & video chat, then I mentioned about GMail Mobile, today they announced another new feature : Change theme for your GMail. Besides, the default GMail theme also will have a minor facelift. I just can’t wait to see them! Yup. i know about it and i already change it. Yea, I did some custom designs and released them for free use.